Skateboards, pads & helmets provided. Learn to ride, ollie, grind & drop in. 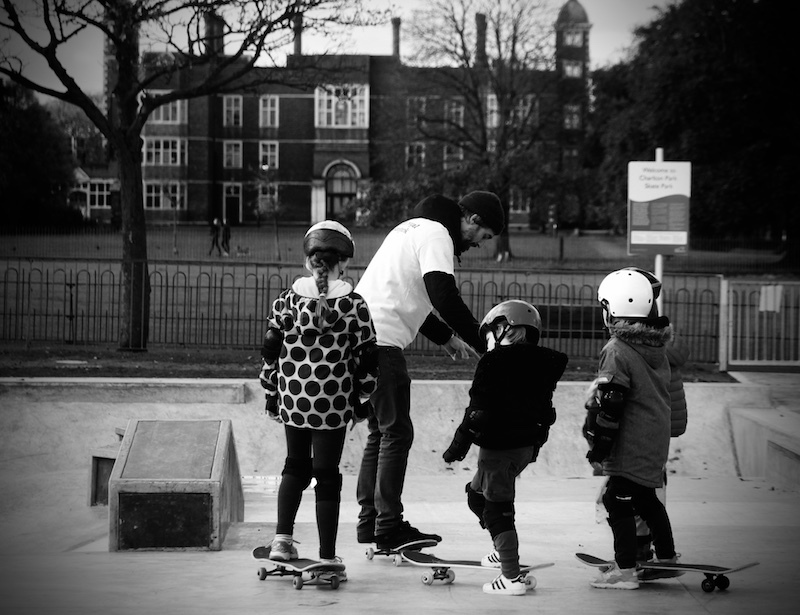 Skateboard Instructors are fully insured and enhanced DBS checked. Where is Charlton Park skatepark? Use the park gate at the top of Charlton Lane, or use (tiny) car park entrance on Charlton Park Road near Cemetery Lane junction to park and walk west across park. The skatepark is behind the toilet block. What should we wear for our skateboard lesson? Please wear skate shoes or soft-soled shoes, and clothes you don’t mind getting a little scuffed or dusty..